Yellowfin Whiting or Silver Whiting as they are known locally. 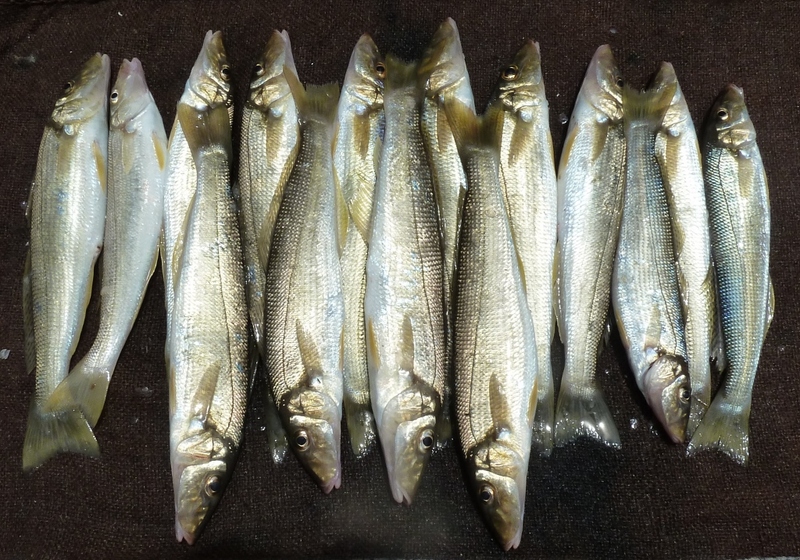 See attached catch of Silver Whiting from Port Augusta waters. Some of the biggest silvers I have ever caught. Is it easy? Of course everything is easy when you know how. If you think you can just go down and catch a dozen Silver Whiting by throwing your bait in the water without much planning, no it’s not that easy. So for a few tips. Best spots are a known tidal creek system. If you know any older net fishers, unfortunately most have passed on these days, ask them to tell you where they used to set their nets for a tidal run off shot in the morning. Alternatively you can actually find Tracks. Silver Whiting dig into the bottom leaving what was known as tracks. They are little dark spots where they have been digging for worms or the like when feeding. If you travel along the edges of the mangroves at high tide on a calm day you will see them. Obviously this is a good sign that they are feeding in the area and worth a try. Mark it on your GPS. For next time if you are not ready to fish on this day. When fishing cast about 15 metres away from the boat as the larger fish usually hang back. I like to begin fishing about when the water is just about to leave the mangroves on an outgoing tide. Don’t worry you can catch them all the way to low tide and back on the incoming also but if I had a choice just as the water begins to leave the trees is best. Usually need to start fishing around a tide of 1.6metres with the best being around 1.4 to 1.2 metres. This will mean you will be out in the heat of the day so make sure you have plenty of slip slop slap and cool drinks. Around 30cm -50cm. Sometimes you can catch them in less than this. Water temperature is important. Too hot and they are just not there. If it has been 40 degrees plus and there is an incoming tide the water temperature is too hot. Best temperature is the morning run off tide after a cool summers night. The fish like this temperature and come into feed at night and on the outgoing tide they will continue to feed all the way out. Dirty water is a no no. If there has been a big blow and the water is all stirred up, don’t waste your time. Tweed Prawns my preference, Blood worms also work. Not too much as it will bring vermin such as Blow Fish and Trumpeters. I use a berley pot with a few crabs crushed up. Rod around 2-4kg 7 foot long with spinning reel around 2000 size with 12lb line. No. 6 or 4 long shank hook with running 1 oz sinker. So if you are looking to try for a few Silvers they are about and if you apply some of the above principals you can get a good feed. Good luck and hope you all have tight lines.